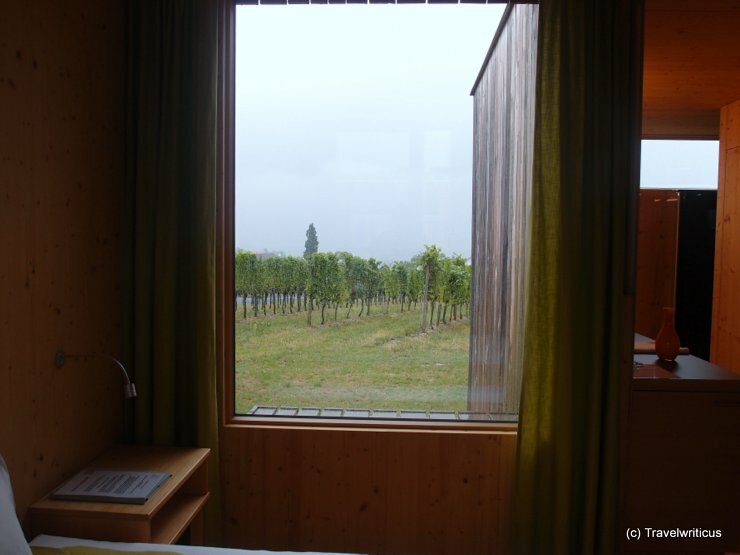 The Wohnothek is a hotel complex placed right in the middle of a vineyard. Each building consists of a bedroom and a sanitary area. From each door there are only a few meters to the next vine branch. The breakfast is served in a different building at the foot of the vineyard. At the same place one also find the reception desk and a restaurant for trying local wines. It is also a station for e-bikes. 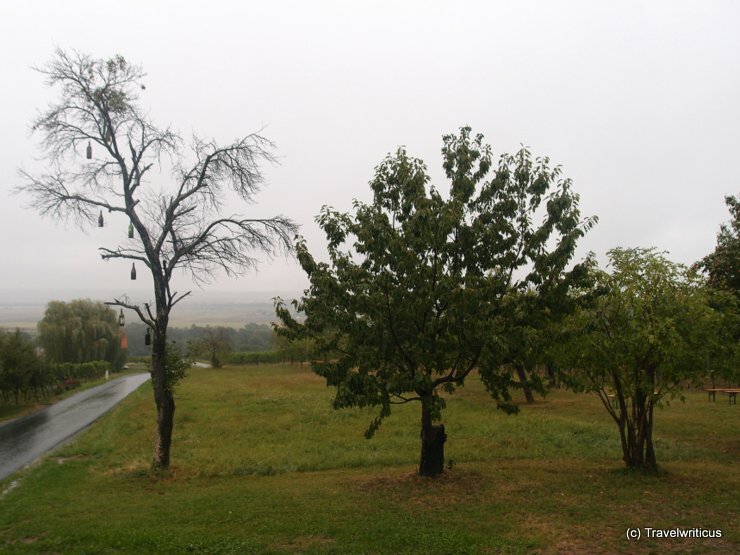 Though the weather was rainy, the view from the breakfast room was fine. I was especially impressed by one of those trees depicted above. 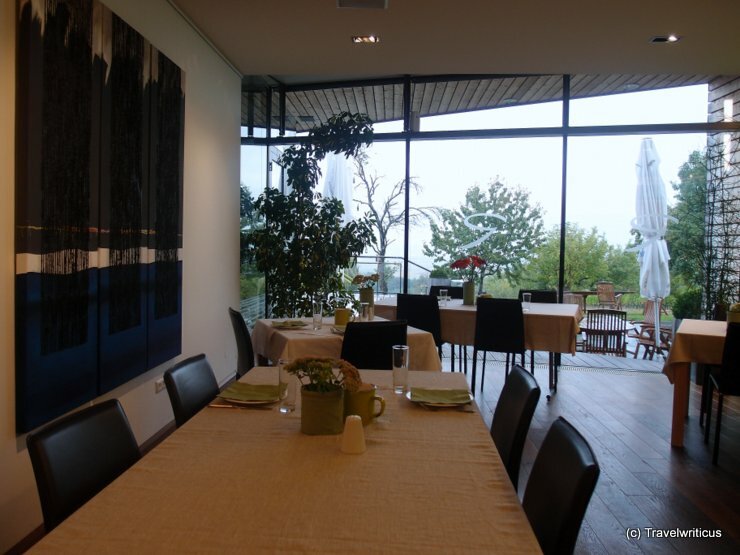 This entry was posted in Accommodations and tagged Austria, Burgenland, Deutsch Schützen-Eisenberg by Travelwriticus. Bookmark the permalink.